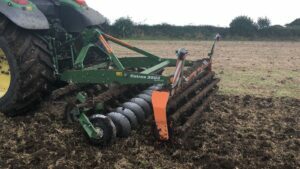 Farm machinery distributor, Farmhand, has announced the arrival of the all-new Amazone Catros 3003 compact disc harrow on to the Irish market. Available now through Farmhand’s Amazone main dealer network, the 3-metres wide Catros 3003 is selling at a price EUR2,500 below the existing Catros 3001. Like the market-leading Catros 3001, the new 3003 is designed for shallow and intensively mixing soil tillage and is fitted with the same 460mm plain discs which have proven to be ideal working depth of 2”- 5”. Easier to set than the previous model, it was found, during extensive field trials, to deliver an even more perfect result across a variety of uses from stubble cultivation to grass-reseeding work. With high forward speeds and impressive work rates, other features of the ‘easy pulling’ unit include superior build quality, long-lasting durability, lifetime maintenance-free bearings, rubber overload protection and full road lights. 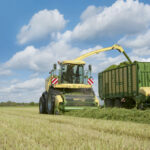 According to Farmhand sales support manager, Val McAuley, the 3003 is expected to ‘appeal to value-driven farmers and contractors and is eligible for the latest EU TAMS II support’. 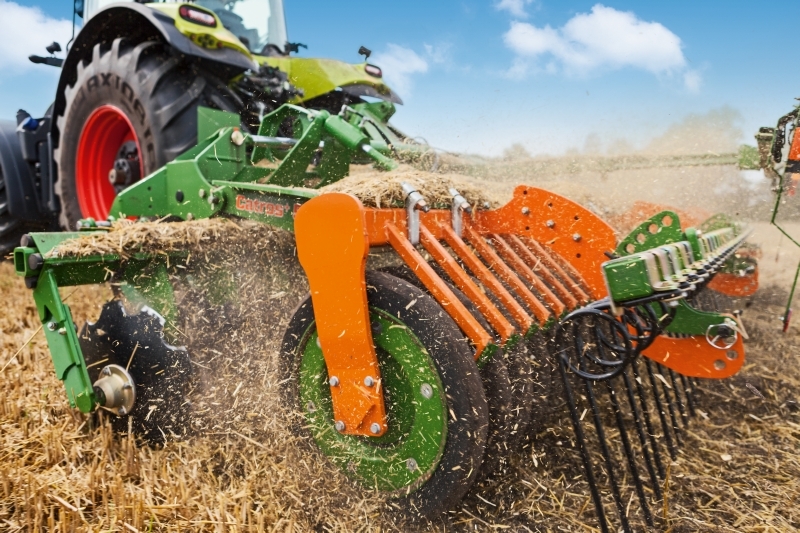 Backed by an Amazone Finance package, the 3003, with open crumbler roller is available at an initial ‘hitch up and go’ VAT inclusive payment of just under EUR 1,400, followed by an additional nine half yearly payments of the same amount.